Stone walls have been used to create borders and protect them from hillside erosion for hundreds of years. But today, in addition to being functional, stone walls can add incredible interest and beauty to landscapes. Local or imported stones can add natural color that contrasts flora and fauna and can even be used to incorporate artistic patterns. Stone walls can also create zones in hardscape designs to connect or define fire pit, plant bed and seating areas. 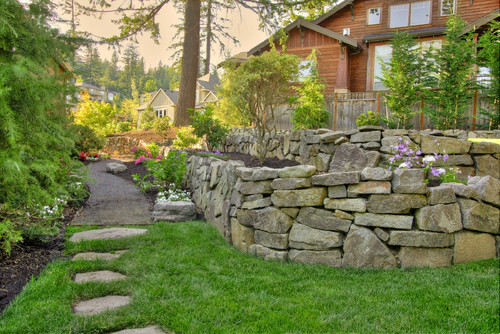 Here are three ways to add beauty and function to Colorado landscapes with stone walls. Creating 3-D Boundaries: The most classic use of a stone wall is to create boundaries. A small wall can outline a porch or seating area to make it more private. And on a more grand scale, a rock wall can be used to create multiple boundaries within a single space that includes planters, seating areas, benches, fireplaces, etc. Retaining & Terracing: If you live on a slope, a well-designed and professionally constructed retaining wall will be your greatest ally in creating functional, livable outdoor space. In its most basic form, a retaining wall provides structure to create a flat area that will not erode. A landscape designer can also create terraces with retaining walls, which protect slopes from eroding and add additional flat spaces for lawns, gardens and sitting areas. But as landscaping expert James Woodhead told the Landscaping Network, “When it comes to retaining walls, don’t be a do-it-yourselfer!” We heartily concur. Retaining walls require sound engineering, a solid design and expert construction to ensure durability and safety. Adding Dimension: If your live on a flat piece of property, and want to add extra dimension or structure to wide expanses of lawn or yard space, you can use a rock wall to create encircle or outline focal points in your landscape. 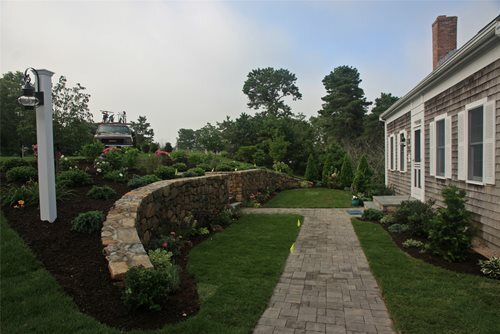 Stone walls can be used to add a large, elevated flower bed, for instance. 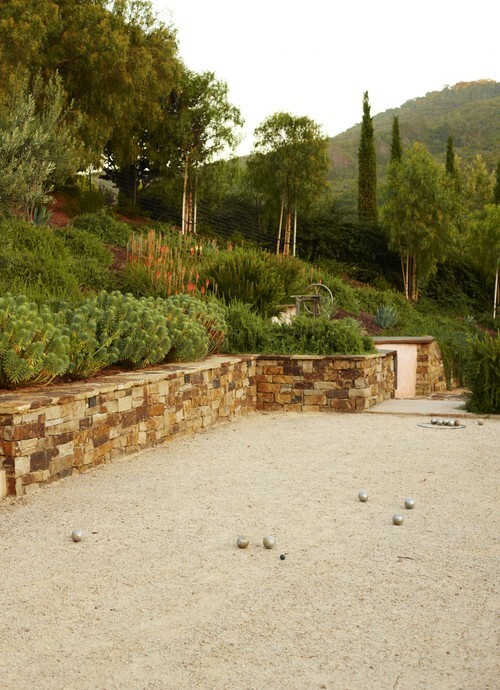 Another option is to incorporate a stone wall as a backdrop for a sunken patio or seating area. If you are interested in incorporating a stone wall in your Colorado landscape, contact Lifescape. We would love to visit your space and brainstorm creative ways to enhance your property’s natural landscape features.